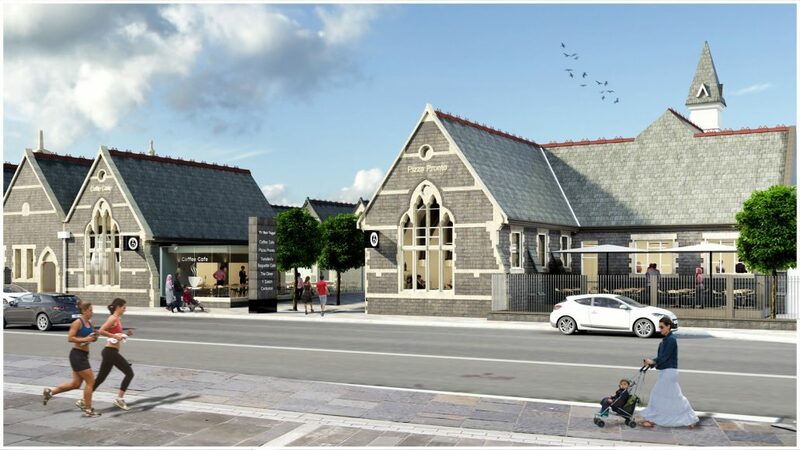 Working alongside Arbenigol Property Development Consultants, HLN have produced design proposals for the change of use of the Grade II listed former Board School on Alexandra Road, adjacent to the town’s railway station. The Victorian school building, originally constructed in 1874, was to become home to one of the first Welsh language schools in Wales in 1939. The building’s life as a school came to an end in 1989 and was subsequently refurbished for business use in 1994 by the DBRW for occupation by the Welsh Government. 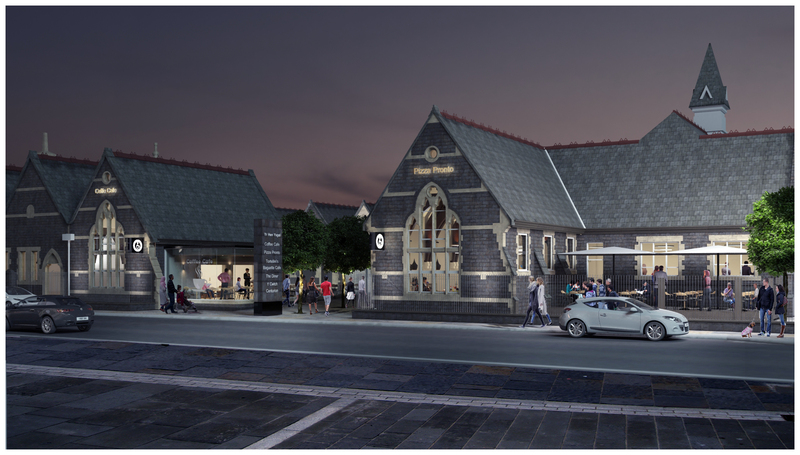 Much of the building now lies empty and as a consequence Evannance seek to revitalise the building and the surrounding area with its conversion to a cafe quarter composed of six self-contained café and restaurant units within the building and its site. The proposals include the removal of a number of ‘functional’ extensions added to the building in the 1960’s and the introduction of two new contemporary glass extensions at key positions within the building courtyard, primarily to form new entrances into two of the units.